CarcinogenSDA is a Resident Evil speedrunner and challenge player known for informative commentaries and energetic playthroughs. His Resident Evil 7 speedrun was a highlight of Awesome Games Done Quick 2018, and he’s completed a variety of “no-hit” runs including a perilous playthrough of the Resident Evil remake’s invisible enemies mode. Carcinogen is a master of disposing zombies and dancing around dangerous foes, which makes it no surprise that he’s already started doing just that in Leon’s first story route in the Resident Evil 2 remake, all without taking damage. Carcinogen completed a no-hit run of Leon’s first story route with an in-game time of two hours and 56 minutes. He never got a single zombie bites or stray licker scratches, and certainly not any punches from Mr. X. The run itself is something of an exhibition for both the game and runner, as he doesn’t skip the cutscenes, and he also provides color commentary on the tactics he uses to avoid catastrophe. These include baiting zombies into opening doors to nail the timing on skull-destroying headshots and skillfully managing sub-weapons like knives and grenades. This no-hit run is as much about inventory management as it is about movement and dispatching enemies: By having the right weapons at the right time, Carcinogen can toss perfectly-placed flash grenades to avoid large groups or avoid getting grabbed. In one memorable moment later in the run, he shoots the legs off some zombies before they rise and uses his knife to finish off the crawling creepers. It’s really smart stuff. Runs like this are also a chance to conquer fears. 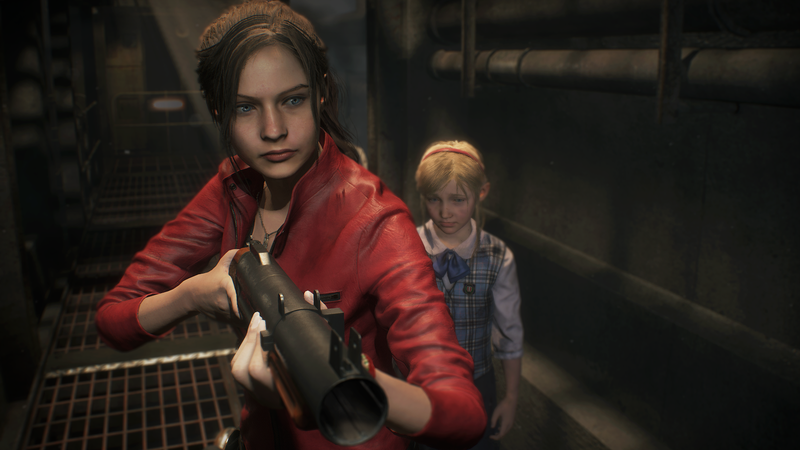 Resident Evil 2 can be a scary game, and watching a skilled player dismantle the world one segment at a time is surprisingly empowering. Mr. X might have most of us screaming in fear, but Carcinogen just keeps moving along. His run is an impressive feat that also lets folks see that with some practice and confidence, even the bloodiest of games can be a cakewalk.